Ohio health officials announced on Friday that it will revoke the licenses of two abortion clinics in the Cincinnati and Dayton areas. The two clinics, Women’s Med Center in Kettering and Planned Parenthood of Southwest Ohio, are the only two abortion clinics in the region. The clinics serve roughly 480,000 women. The licenses were denied because neither of the facilities has written patient- transfer agreements with local hospitals, a requirement for outpatient centers like abortion clinics. Two years ago, the state banned abortion centers from entering into such agreements with public hospitals, which forced the Planned Parenthood surgical center to end its longstanding agreement with the University of Cincinnati Medical Center. The two clinics are currently suing over the regulations. A federal judge will decide on Monday whether or not they can remain open as the lawsuit makes it way through court. Though Planned Parenthood and other women’s health organizations have consistently argued that TRAP laws are restrictive and unnecessary, they remain popular among conservative lawmakers like Ohio governor John Kasich. Ohio’s TRAP laws are some of the most restrictive in the nation. Since Kasich took office in 2011, six clinics in the state have closed. Only nine clinics remain open in a state of 11.6 million people. 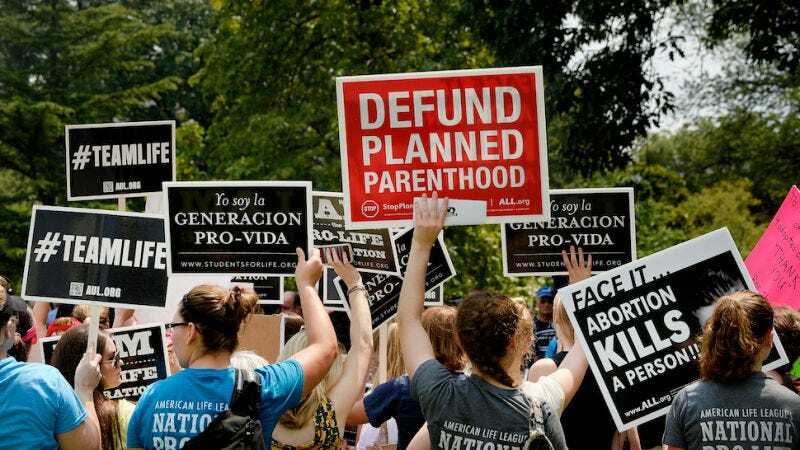 The Cincinnati Enquirer notes that if the Planned Parenthood clinic closes, then Cincinnati would become the largest metropolitan area without abortion services. The closure of the Dayton-area clinic, Women’s Med Center, would particularly please Kasich’s conservative base. WHIO reports that Women’s Med is one of two clinics in the state that offers abortions after 20 weeks.